This interview series features the same 4 questions to a variety of noteworthy people and a fifth question, specific for them. 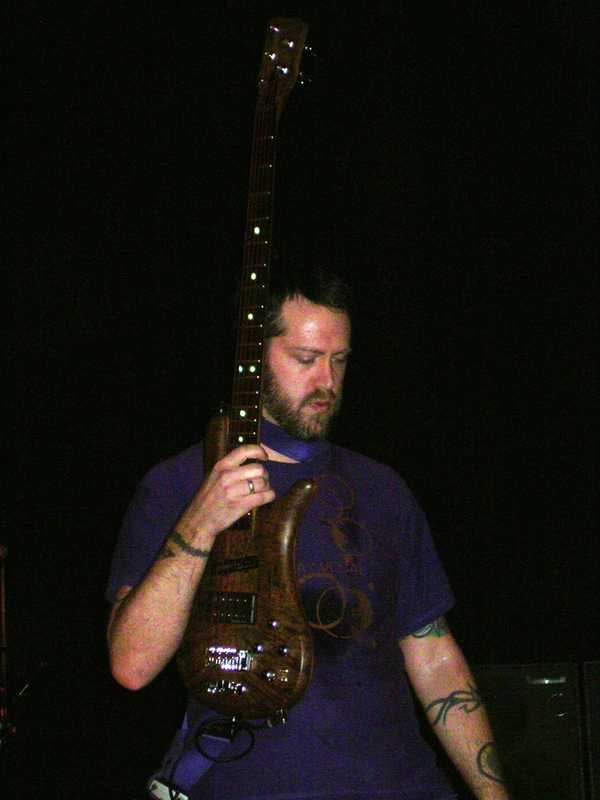 Most people know Aaron “P-Nut” Wills as the bass slapping, Los Angeles Lakers loving, funny face making bassist of the band 311. But while touring with the band selling their merchandise and in the years that have passed, I’ve come to know a different P-Nut; a compassionate person who cares about his family, his friends, his fans, and yes, his planet. P-Nut was the first person that I know to get a Tesla, one of the earliest electric cars. He taught me the genius of the French Press coffee making style where there’s no need for disposable filters. And as you will see below, he is a fan of reusing. While P-Nut will surely be busy with 311 for years to come, I’m hoping we can collaborate on one of the many reuse ideas that I have. Until then, I recommend following him on twitter, where he’s always spreading the positivity. 1. What’s the best thing that you ever got used? My ’64 fender jazz L series bass. 2. 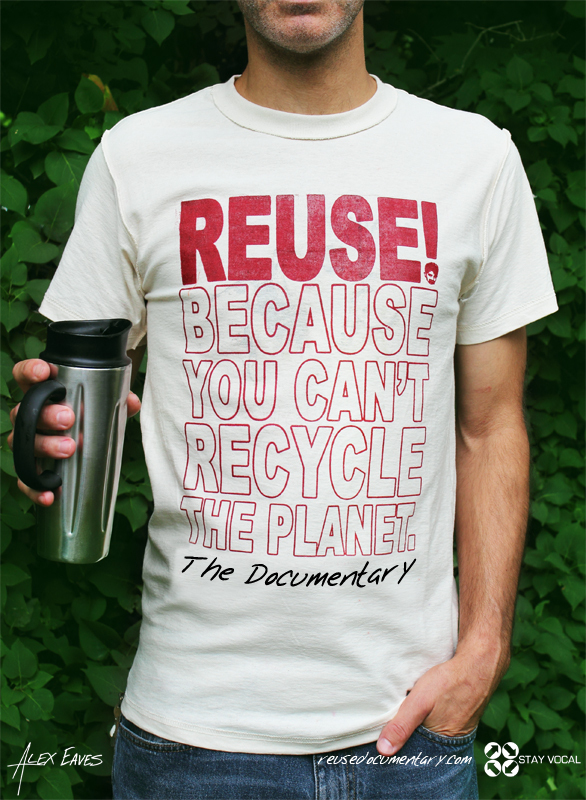 What’s the last thing that you took out of the recycling or trash to reuse somehow? A box to destroy with my son. 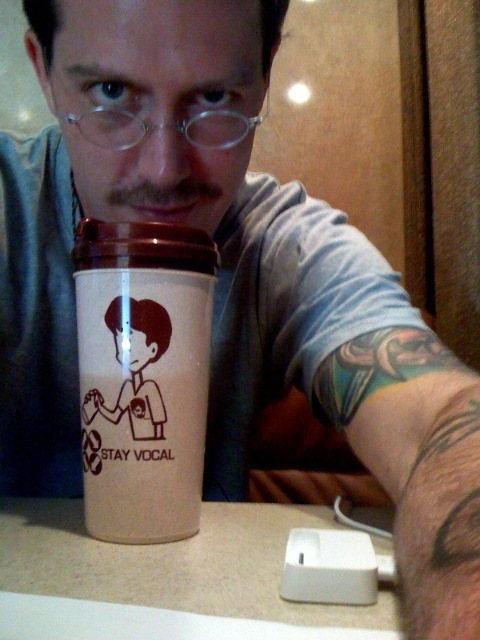 P-Nut from 311 with his STAY VOCAL reusable travel mug. 3. 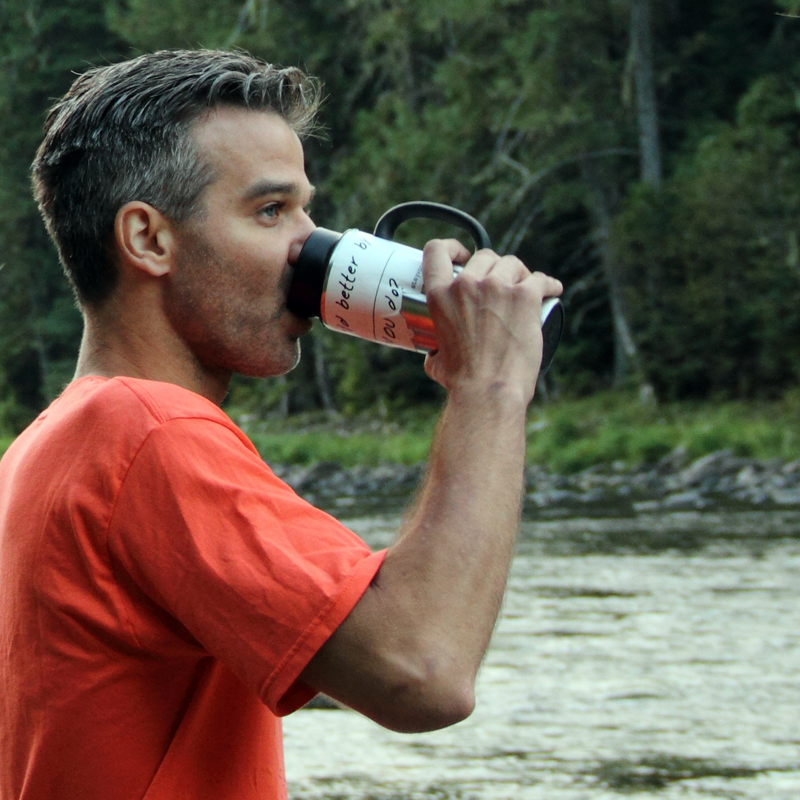 What’s your favorite hot drink to get in a reusable travel mug? Coffee: I’ve had my handmade ceramic mug for years, but I use it for a bowl too. Keeps me connected to home to have a piece with me. 4. How could YOU reuse a cereal box in your daily life? Make it into a canvas for an unreal piece of art. 5. What’s your favorite pre-owned Los Angeles Lakers item in your collection? Here’s a quick explanation of how 311 helped inspire my work with reuse. This entry was posted in Coffee, Interview, Music, Touring. Bookmark the permalink. 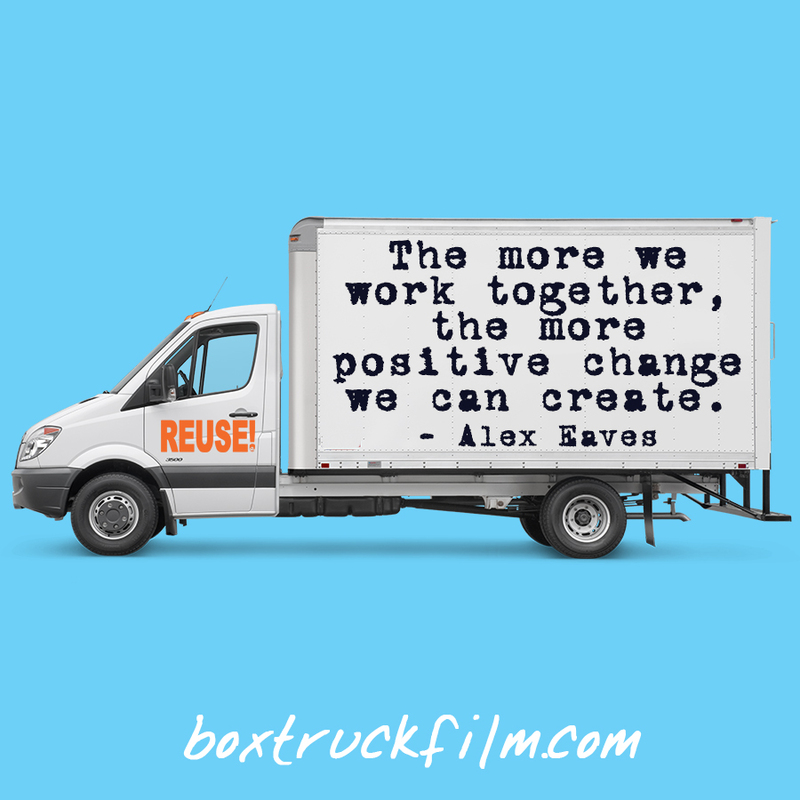 Pingback: Alex Eaves – Reuse Pro | Happy 3-11 Day 2013! Education is not about reading writing and learning basic studies. It is more like an investment a country can make in its people in order to get a good and prosperous essays that pass turnitin future. It is very important investment for a country. Yep, that was interesting. I know nearly nothing about all the music related topics. So, I was very interested with your article.